This soft leather carry case is flexible to fit easily over the SL series radio, yet offers durable protection from the elements. A clear front cover makes it easy to view and access the screen and keyboard while protecting it from dust and debris. 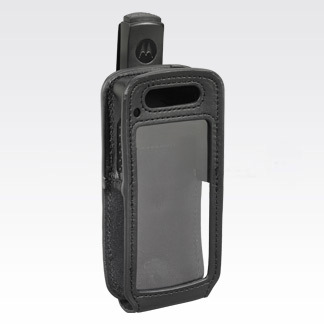 This leather case securely fits the SL Series radio and maintains its slim size. A quick release belt clip makes it easy to remove the radio from the user's belt. 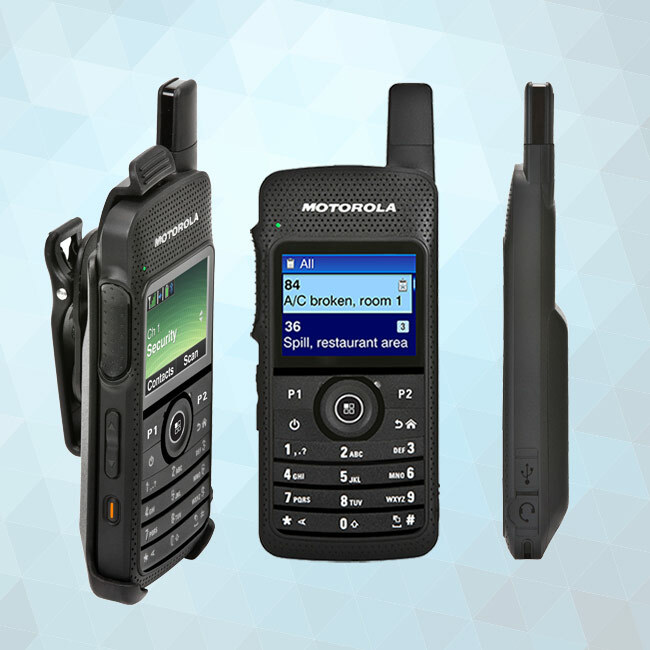 The radio can be charged while still in the leather case in a multi-unit charger or triple-unit charger with one quick snap release to open the case. This case fits all radio battery options, BT70, BT7x, BT90 and BT100.